If you’re planning to create a HTML5 horror game with a gothic motif, use the Gothicvania Cemetery Pack. 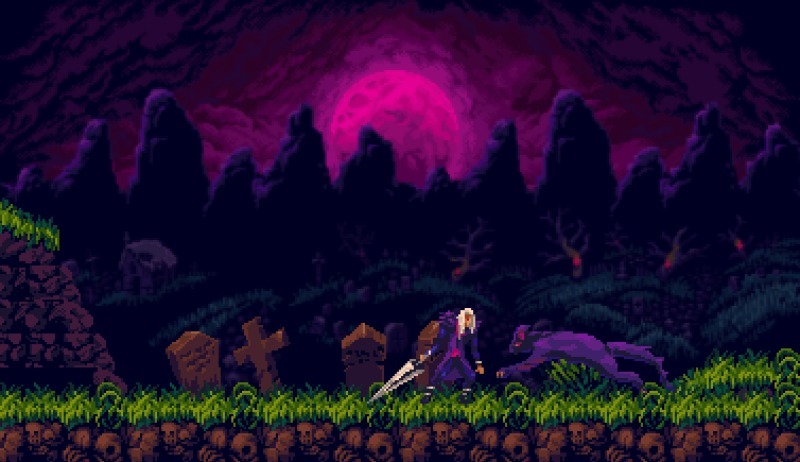 The design elements were based on a hit fantasy platformer game about vampires. With this pack, you can get loopable backgrounds, objects for decorating the level, tileset, a playable hero character, villains, and animations. To see how the design pack works, it comes with a playable demo made using the Phaser engine. You can use these objects on transparent PNGs. Learn more about the design pack here.